Vitamins have, for some time, being used to cure hangovers. It is hard to ignore their benefits which help in restoring the health and energy of people especially considering that hangovers are not pleasant. They interfere with the day to day activities of people. 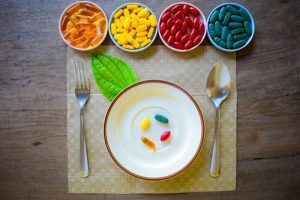 As much as vitamins for hangovers are a crucial part of the recovery journey, it is equally important to explore why one needs to take them, the best vitamins for hangovers, and the real benefits behind them. Is it important to take vitamins when hungover? Does vitamin B help with a hangover? How does vitamin C relieve veisalgia symptoms? Is vitamin D important in hangover recovery? Does magnesium help with crapulence? Will potassium relieve hangover symptoms? How can L-Glutamine help with veisalgia? During alcohol consumption, the body loses a lot of vitamins and minerals through urination. Alcohol affects the action of the antidiuretic hormone (Vasopressin), which is responsible for helping the kidneys reabsorb water in the body. This causes excessive urination, and it is during urination that the body loses these essential vitamins and minerals as a result of heavy drinking. Replenishing these vitamins as soon as possible helps the body recover from the hangover which usually occurs early the following morning. Here are some of the best vitamins for a hangover. It normally comes in a group called the vitamin B complex. B complex includes vitamins B1, B2, B3, B5, B6, B7, B9, and B12. Of importance is B1 and B6 which are responsible for boosting energy levels, cell metabolism, brain function, proper nerve, and hormone and cholesterol production. They are also known as hangover vitamins. Alcohol prevents its absorption in the body. This brings about hangover symptoms. By taking vitamin B, one helps alleviate these symptoms. They can be taken before or after drinking alcohol from either pills or natural sources. Ideally, one is supposed to take two glasses of water and a pill of vitamin B complex. Natural sources include fresh fruits and vegetables, including avocado, boysenberries, dates, grapes, grapefruit, guava, mango, orange, pineapple, pomegranate, watermelon, asparagus, brussels sprouts, butternut squash, corn, French beans, parsnips, peas, potatoes, and sweet potato. Ut can also be introduced into the body as a hangover iv drip for faster results. It is also known as ascorbic acid. Vitamin C is one of the most important vitamins for the hangover to consider. It is a strong antioxidant which supports a healthy immune system. Alcohol depletes ascorbic acid levels in the body. Replenishing its levels in the body helps protect the immune system, especially from the toxins that are introduced to the body by alcohol. Ascorbic acid also helps speed up the metabolism of alcohol in the liver. These actions help alleviate hangover symptoms sooner. This makes it one of the best vitamins to prevent hangovers. It can be taken from natural sources. They include citrus fruits such as oranges and lemon, green and red pepper, tomatoes, spinach, cabbage, and broccoli. Ascorbic acid can be taken before or after consumption of alcohol. Additionally, a combination of vitamin B and ascorbic acid in natural food source can be the best thing to eat when hungover. Vitamin D is ideal for boosting the immune system in the body. This makes it an ideal option for vitamins for hangover prevention. Considering the toxic substances that usually get introduced into the body from taking alcohol, having higher levels of vitamin D helps keep the immune system in check. It also helps increase serotonin levels in the body. Serotonin is known for mood and appetite regulation. It also helps with the motor, autonomic and cognitive functions of an individual. Alcohol consumption also diminishes muscle function and could lead to myopathy, especially in cases of consistent use. Myopathy is a condition characterized by muscular wasting and weakness. Taking vitamin D prevents one from developing such conditions. It also helps with the absorption of minerals such as magnesium which are crucial to recover from a hangover. While Vitamin D is one of those vitamins to take before drinking, it can also be taken after the consumption of alcohol. It is easily found in natural sources such as beef liver, cheese, and fatty fish like tuna and salmon, and egg yolks. Magnesium is more of a mineral than a vitamin. Nevertheless, drinking of alcohol leads to the depletion of magnesium from the body through excessive urination. Magnesium is crucial to the body because it helps regulate sleep as well as boost energy production. During a hangover, taking magnesium helps alleviate the symptoms. It supports the dehydrogenase enzyme found in alcohol which is responsible for the breakdown of alcohol in the body in preparation for elimination. Magnesium also helps relax neck and head muscles thus alleviating hangover tensions. Magnesium prevents the thickening of blood in the vessels due to alcohol consumption which could lead to clots. It is possible to take magnesium as a powder in the form of magnesium citrate powder. It can easily be taken with hot and cold water. Natural sources of magnesium include seafood, dark chocolate, nuts and seeds, fruit such as banana, avocado, and raspberries, green vegetables such as spinach and kales, tofu and baked beans. Magnesium can be taken before or after consumption of alcohol. Always ensure to stay properly hydrated after taking magnesium. Like magnesium, potassium is an important mineral in the body because it helps with the proper functioning of the heart as well as aiding in proper muscle function. During a hangover, potassium is a great cure because it helps ease the symptoms by boosting kidney health and enhancing water balance in the body. It also helps regulate the nervous system and the electrolytic functions in the body. Potassium can easily be taken from natural sources. These sources include fruits such as banana, oranges, apricots, grapefruits, dates, cooked spinach and broccoli, potatoes and sweet potatoes, mushrooms, peas, and cucumbers. Also known as glutamine, L-glutamine is a naturally occurring amino acid that is usually found in animal and plant protein. Naturally, glutamine helps the immune system and the muscles and cells in the digestive tract. Glutamine also occurs naturally in the body. Alcohol consumption suppresses glutamine production. The brain then stimulates its excess production the moment one stops drinking alcohol. This is called glutamine rebound and could explain why it is possible for people to wake up bright and early the following morning after drinking. This over excess production of glutamine affects sleep preventing the victim from resting. It is responsible for feelings of fatigue, anxiety, tremors, and heightened blood pressure. To avoid the effects of a rebound, it is advisable to take L-glutamine in combination with other minerals such as magnesium and potassium. This could make up a simple yet effective homemade hangover cure. It is easily found in medicine stores. A teaspoon of glutamine before commencing on a drinking spree will help keep the reserves and prevent a rebound. It should be noted. However, that glutamine is not a cure for alcoholism. One should always seek medical attention when dealing with alcoholism to find appropriate ways to get clean. Hangovers are not pleasant, and they work to interfere with daily activities. A simple search on the internet on best hangover vitamins or how to get rid of a hangover fast will yield hundreds of results. Other methods such as using a NAC supplement to fight or prevent the harmful effects of hangovers have been used successfully. However, the delicate vitamins and alcohol interaction require a careful approach when dealing with alcohol. Conventional remedies such as a shot for hangover might not work. 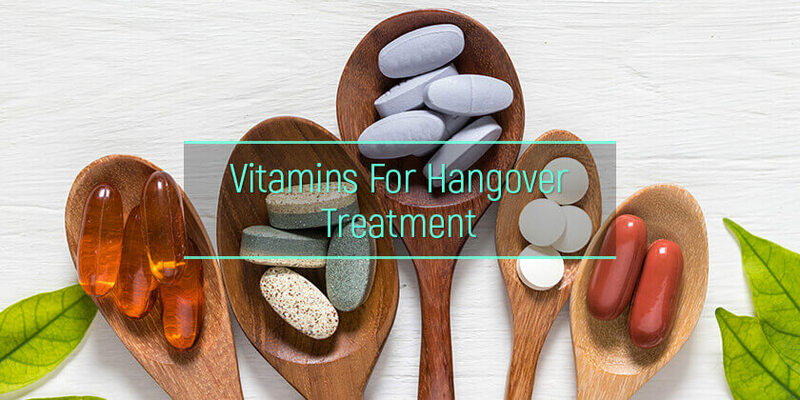 It is, therefore, always important to take the required minerals and anti-hangover vitamins before or after taking alcohol to prevent hangovers. Note, that vitamins will not help to prevent the side effects of alcohol addiction. It is better to cure alcoholism in the early stages.